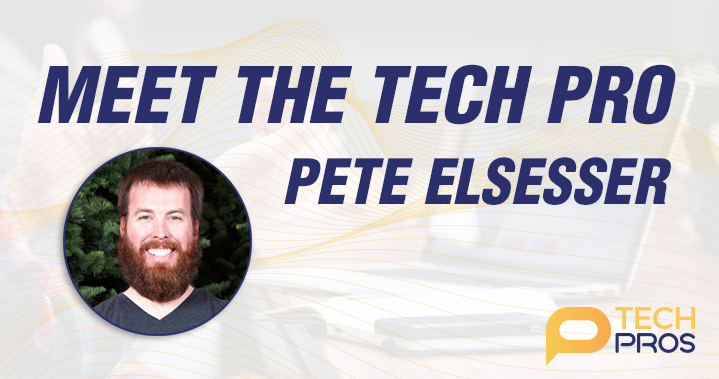 We asked Tech Pro Pete Elsesser to share a little more with us about his background and experience before he joined us at Tech Pros. An incredibly helpful and knowledgeable guy, Pete is the go-to guru when it comes to anything captioners need on the tech side! Read about Pete in his own words below and get in touch with him to book a session. He’s an advocate for captioners and their careers – he can help you go to the next level! I’ve always been enamored with technology. As a child I was constantly taking things apart and trying to figure out how they worked, reassembling them with varying degrees of success. When we got our first family computer, I realized that being a nerd was my calling. In second grade I saw a television program with open captions, and soon I began watching everything I could with captioning. I don’t have hearing loss, but I found that captions helped me better understand what I was watching. Seeing live captions for the first time, I wondered what kind of voodoo magic was going on behind the scenes to make it work. I couldn’t comprehend how a human could type that fast! A few years ago I began working for a nonprofit during their public meetings. My role was to help a talented group of stenographers, clearing any technical obstacles so they could focus on providing realtime transcription of the proceedings. The first session, that voodoo magic became real. Watching their fingers dance over that strange keyboard, and seeing each stroke show up on their computer screens in an equally strange “code” before instantly becoming words I could read was so unbelievably cool! One of those amazing people was Jen Schuck, fearless leader of Caption Pros. When I heard she wanted to help other captioners hone their craft, I was excited to jump on board. While I might not be the typical consumer of captions, I still benefit from them every day. Hearing the stories of folks who rely on captioning has made me passionate about communication access, and I get immense satisfaction in helping captioners be the best they can be. In my book, they’re superheroes. My ideal client is the captioner who is looking to enhance their digital literacy and get a better handle on the technology they use to do their job. Many times we know what we need the computer to do, but it’s not clear exactly how to get there. I specialize in demystifying technical concepts and showing clients how to more effectively use their computers, software, and the internet. I’m an expert in Windows, macOS, and tech troubleshooting. I also support the Open Steno Project, which is bringing the art of stenography to a new generation with affordable hardware and free learning resources. The world needs more captioners!